The ‘Twin Peaks’ of Seattle Apartment Building Investment Plus MPF Research says rent growth holding strong there. Mike has two nice charts showing apartment development numbers back to 1988 and sales volume back to 1981. 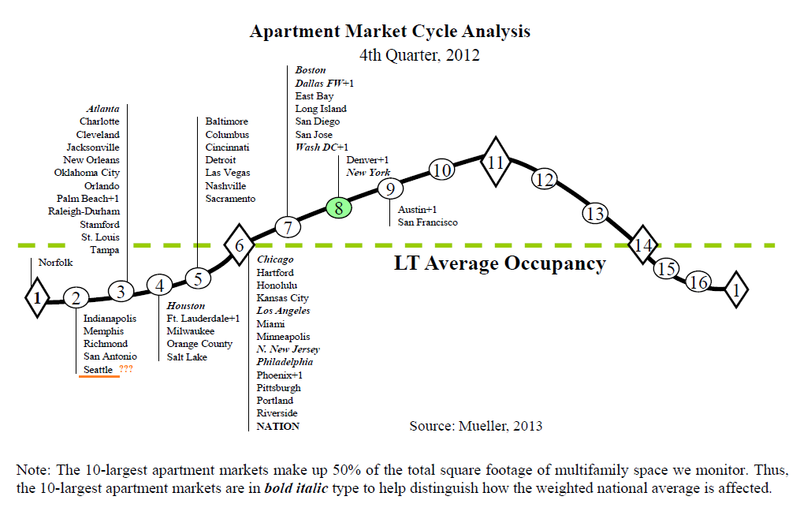 Note that on the sales volume chart 2013 numbers are Continue reading The ‘Twin Peaks’ of Seattle Apartment Building Investment Plus MPF Research says rent growth holding strong there. Posted on June 7, 2013 June 10, 2013 Categories Apartment Building Investment Cycle, Multifamily Design & Development, Multifamily InvestmentsTags absorption, Apartment Building Investing, apartment construction, apartment demand, apartment market cycle, Dupre+Scott, Greg Willett, Mike Scott, MPF Research, multifamily development, occupancy, rent growth, Seattle apartment market, supply, Twin Peaks, vacancyLeave a comment on The ‘Twin Peaks’ of Seattle Apartment Building Investment Plus MPF Research says rent growth holding strong there.